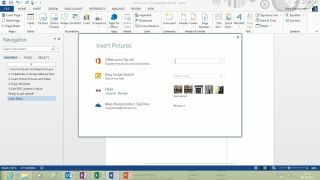 If you've ever wanted a chance to dip your toes into the next versions of Microsoft's Office products and services before they hit the shelves, you're in luck. The company is on the hunt for beta testers as part of a newly launched Pre-Release Program. In exchange for providing feedback on your experience, you'll snag pre-release versions of Word, Excel, PowerPoint, OneNote, Vision, Access, Publisher and Outlook in all their naked, non-tested glory. Additionally, business types will get the keys to early versions of the company's Exchange, SharePoint and Project Server products and cloud services. To join, you'll have to sign up as a Home or Business user and fill out a questionnaire to provide Microsoft with a few details on why you want to take part, meaning participants are likely to be hand picked on their suitability to provide constructive criticism on incoming updates. Microsoft's rumoured touch-friendly version of Office, called 'Gemini', is slated for a summer release and as such could feature in the company's Pre-Release Program plans, meaning you'd be one of the first to try out one of the most highly anticipated Office releases in recent times. Microsoft recently launched a similar early access program for Office 365 called First Release, which allows business customers to get a peek at several months' worth of features and improvements heading to the cloud. But is Office 2013 actually any good?